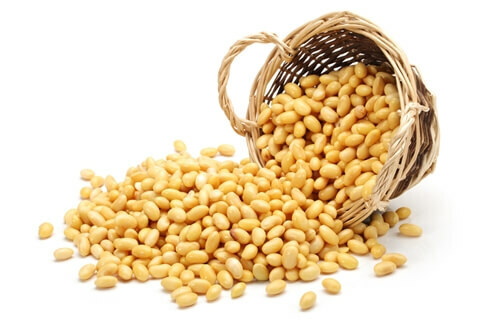 There has been a legal battle between the United States and Brazil over the last few years over the soybean. More specifically, between Brazil's largest cooperative Aprosoja and the U.S.-based Monsanto. However, it appears as if the dispute could finally be coming to an end. According to a report from Reuters, the two organizations have reached an agreement and Aprosoja is encouraging farmers to sign on with the seed giant, which would offer Intacta seeds at a cheaper price. In exchange, Aprosoja will also drop a lawsuit against Monsanto over soybean royalties from genetically altered soybeans that 85 percent of the countries fields use to increase production. The lawsuit started in 2010 when Brazilian farmers claimed Monsanto's right to charge royalties on genetically altered beans known as Roundup Ready has lapsed under Brazilian law, while Monsanto executives believe the patent doesn't expire until 2014, the same time it does in the United States. Brazil's Upper Tribunal of Justice ruled in favor of the farmers in February and Monsanto stopped charging royalties, but the farmers want the company to repay those who it did collect since 2010. A spokesperson for Mato Grosso state's farm and ranch federation Famato released a statement saying individual farmers would be free to continue the lawsuit is they saw fit, but the two leading farm groups would no longer be a part of it. It will be interesting to see how this agreement will affect international trade and if any farmers decide to keep the fight going, even without the support of larger organizations. This entry was posted on Monday, August 12th, 2013 at 8:52 am and is filed under Business Law. You can follow any responses to this entry through the RSS 2.0 feed.